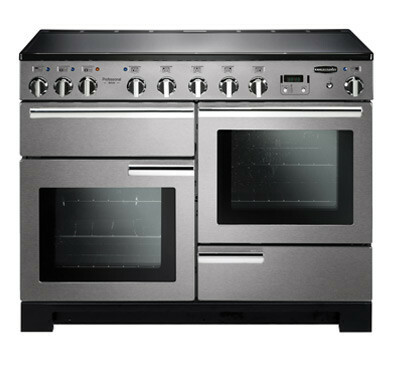 The Professional Deluxe 110 Induction Range comes with Rangemaster’s exclusive Rapid Response feature. Rapid Response preheats up to 30% than normal cookers by drawing extra heat and rapid rate for my precise cooking. Rated “A” for energy efficiency in the UK, the Professional Deluxe 110 Induction Range is available in black, white, cream, cranberry or stainless steel.